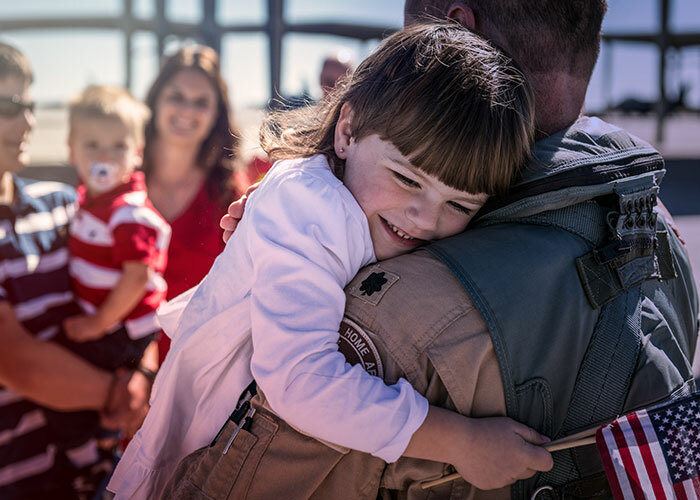 Helping to provide for a military child’s college education not only benefits the student; it greatly impacts the entire family for generations to come. Donating online using your credit/debit card is fast, easy, and secure. Give a one time or recurring gift today. Give now using a credit/debit card. It’s fast, easy, and secure. Whether it’s $5 or $5,000, your charitable gift helps sustain our mission regardless of the amount. We appreciate your generosity and pledge to stand with us in supporting military children and honoring their parent’s service. If you are more comfortable mailing in a donation (check, credit card, or debit card) please complete the donation form, download it here, and mail to our office. Many companies have programs that permit employees to donate to the charities of their choice, and match gifts made by current or retired employees, which will often double your gift to the Gratitude Initiative. Please help us by contacting your company’s human resources office to facilitate this contribution. Most companies will ask for the federal tax identification for the charity. The Federal Taxpayer ID for The Gratitude Initiative is Tax ID 46-3306022. For further details please contact us at donor@gratitudeinitiative.org. While planning for your future, you can create a personal legacy of gratitude by helping to fund the education needs of military and veteran children. Bequests are donations that are made through a will or a living trust. You can donate to the Gratitude Initiative through your estate planning by naming the Gratitude Initiative in your will for a specific amount or a percentage share in your estate. You can also name our organization as a beneficiary of a life insurance policy or retirement account. An additional opportunity is to establish a charitable annuity on behalf of the Gratitude Initiative. Please contact us at donor@gratitudeinitiative.org for more information.